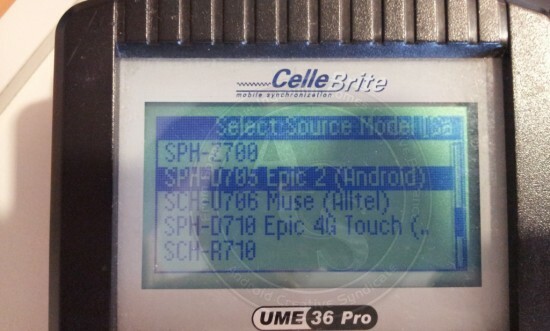 Apparently, the Samsung SPH-D705 — otherwise known as the Epic 4G 2 — has popped up in the Cellebrite system indicating the device could be launching sometime in the very near future. Before you get mixed up, keep in mind we’re talking about the sequel to the OG Samsung EPIC 4G that was launched on Sprint and Verizon. Originally, the device was rumored to hit Sprint sometime during Q3 of 2011, but that came and went without neither hide nor hair of the Epic 4G 2. It further received its WiFi certification but still — nothing. We’re still not even sure if the device will actually arrive on Sprint. Once the Epic 4G Touch arrived on the scene, it’s very possible Sprint passed up on the Epic 4G 2 in favor of the more attractive slate form factor. Besides, how confused do you think it would make customers with the “ Samsung Galaxy S II Epic 4G 2″ and “Samsung Galaxy S II Epic 4G Touch” both on the same network? 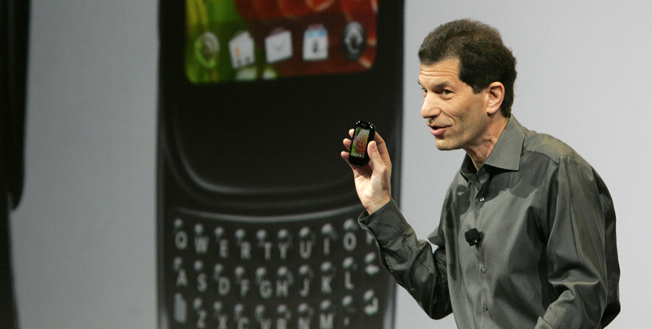 Jon Rubinstein, the former CEO of Palm, has left HP. AllThingsD broke the news Friday afternoon, noting that Rubinstein had served his promised 12-24 month tenure with the company before leaving. “Jon has fulfilled his commitment and we wish him well,” HP spokeswoman Mylene Mangalindan told AllThingsD. Rubinstein led the team responsible for the original iPod and left Apple in 2006 to eventually join Palm as CEO in 2009. While at Palm, Rubinstein was responsible for, among other projects, the development of the Palm Pre and Palm’s webOS mobile operating system, both of which were transferred to HP in 2010 When it acquired Palm for $1.2 billion. HP has since open-sourced the mobile operating system after failing to gain traction with its Pre, Pixi, Veer and TouchPad products. In part of the 2012 BlackBerry roadmap, we learn how RIM intends to keep utilizing BlackBerry OS 7.x while introducing the new BlackBerry 10 platform. RIM looks to want to extend the BlackBerry OS 7.x platform for a few more years. Not much is given in regards to what additional enhancements or features we might see in the future. Nevertheless, it should be a good sign to developers who have already or may be interested in developing for the BlackBerry 7.x platform. BlackBerry 10 looks like it was supposed to be introduced in 2011, which we’re guessing is kind of true. That is, given the fact that the PlayBook OS 2.0 is essentially a stepping-stone to full on BlackBerry 10. As we’ve already seen from a few different leaked images, HTC phones will not have on-screen buttons like the Samsung Galaxy Nexus. Instead, HTC will be reducing its configuration of four capacitive buttons down to three buttons which matches the ICS on-screen layout. 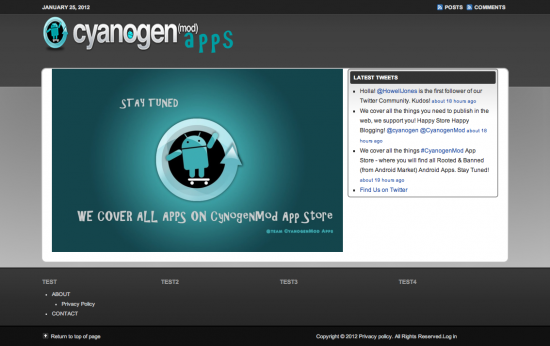 Honestly, we can’t wait to get our hands on HTC Sense 4.0 and HTC’s new hardware. Google has done a great job of introducing new features and UI elements in Android 4.0 and we’re hoping that HTC’s latest skin will build off of them while adding additional functionality for the user. If you want to read more about the new features included in HTC Sense 4.0, we’d suggest you head on over to PocketNow and read about their hands-on experience. Now that people are getting to spend some quality time with HTC’s new software, it’s only a matter of time before images and videos of the new UI hit the web. 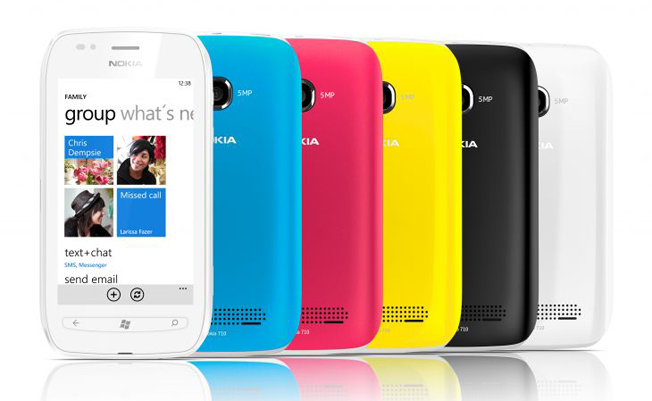 Nokia said it has shipped more than 1 million Lumia smartphones running Microsoft's Windows Phone software to date. The phones first became available in November and CEO Stephen Elop said he is encouraged by consumer reception to the devices. Nevertheless, Nokia posted a $1.4 billion loss in the fourth quarter and reported a 21 percent drop in sales. Something we haven't heard about before that you may be seeing on a BlackBerry in the near future? Wireless Media Server. While details are still pretty minimal, BGR has posted up some leaked slides, one of which shows off BlackBerry Wireless Media Sync. The feature looks to allow you to share your media (music, photos, videos, podcasts and voice notes) with computers, game systems and more. The process will work over Wifi and you'll have a few options to set on your device, but this is something that looks to be very cool. The BlackBerry Curve 9220 is a new device that is said to be coming out mid-2012. It will remain a part of the Curve line and geared toward new users and those who don't need the fancy Bold 9900/9930 hardware. The Curve 9220 sports a 2.0MP camera, 512MB RAM, FM radio and more. We haven't heard much at all about the BlackBerry Curve 9320, but it looks to be a new BlackBerry 7 device releasing in the next few months. It won't be anything too fancy, but it will be a lower cost device for emerging markets. The Curve 9320 will carry on the Curve name and is pretty much an upgraded Curve 9300 from the looks of things. While we're all anxiously awaiting the release of PlayBook OS 2.0 in February, it looks like RIM is already hard at work on a refreshed version of their tablet. The rumored 3G+ BlackBerry PlayBook will be sporting some upgraded hardware in addition to OS 2.0. According to a leaked slide, the 2nd tablet from RIM looks to feature a 1.5GHz processor, 42Mbps HSPA+ Connectivity and NFC. We're not sure just what else the new tablet will be packing, but this is a pretty good start. This is a pretty sweet feature I didn't see coming. Just when we finished complaining about newer devices losing the left-side convenience key, it looks like RIM was actually listening (kind of). This leaked slide shows off the upcoming BlackBerry Curve 9320 and it's brand new features - a dedicated BBM button!! The button looks to be taking over where the left-side convenience key left off (we miss you little fella!) and will launch you straight into BBM. I'll admit, it does remind me a bit of the dedicated Facebook button the HTC Status, but hopefully this one will get put to good use. I would love to have this on my 9900. Exciting, right? Also note that HP is rolling back the version number to 1.0 since this is basically a new version of WebOS. There's a reason nobody had yet grasped it - it's not easy. Sure, programming in HTML isn't exactly rocket surgery, but building an OS to support solely those apps is a more difficult proposition. It took webOS a while to get its footing, too long, in fact. Today the dream has been revised. webOS is still at its core based on web technologies, but the dream is of those web-coded apps being everywhere and breeding success back down to the to-be-open-sourced webOS. Today's open sourcing of the Enyo application framework was the first of many steps to fulfilling that dream, and it's a pretty big one. It didn't take long after the announcement for Enyo-based apps to find their way into our browsers and other platforms, and we imagine that's just going to be the beginning. There are plenty of well-built Enyo apps that we're certain developers will be excited to be able to bring to other platforms without much effort (at least compared to the effort of completely rewriting the app for other platforms). Today was really all about Enyo. Having the roadmap for the webOS open source release is great and all, but it's just to set expectations. We now know what we can look forward to in the coming months (ha, gotcha! ), but at least in our estimation the most interesting item on the list was the very last one in September 2012: Open webOS 1.0. The revised dream is that by making webOS a new alternative to Android they might be able to pick up some marketshare in the process, making it easier to justify bringing back webOS hardware from HP. That's part of why HP's reseting the version counter to 1.0, and maybe pulling off a rename here to Open webOS (though personally we're still likely to just call it webOS if that's the case). The site, still very much in its infant stages, is more of a placeholder than anything. While we’re not saying it’s totally bogus or that anyone should stay away from it, we just didn’t want anyone — especially our readers — to get the wrong idea.